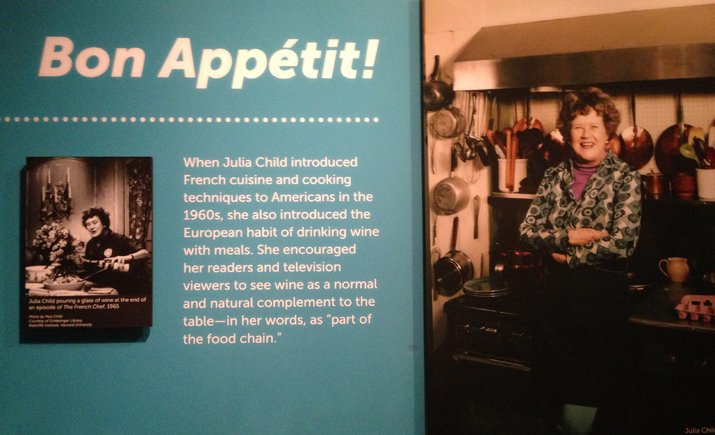 On a recent visit to Washington, DC, there was nothing I wanted to do more than visit Julia’s kitchen at the new Smithsonian National Museum of American History on the Capitol Mall. 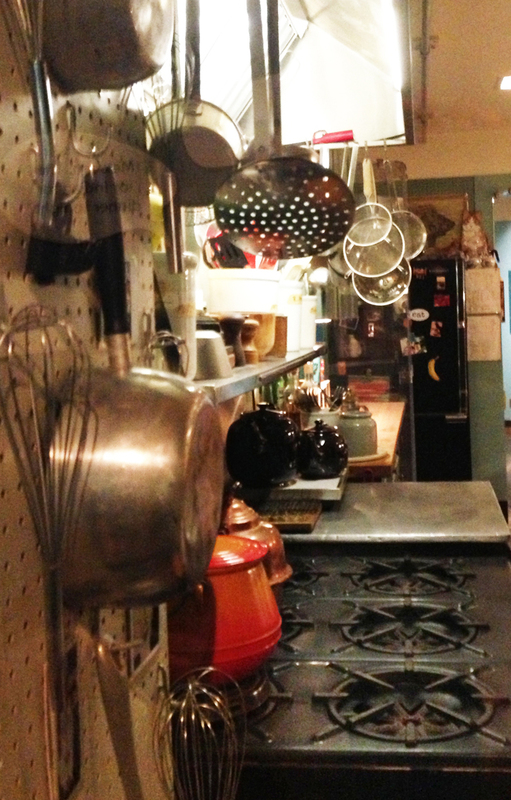 The museum has the vibe of the office building it once was, but Julia’s home kitchen is authentically Cambridge, Massachusetts circa 1970s. 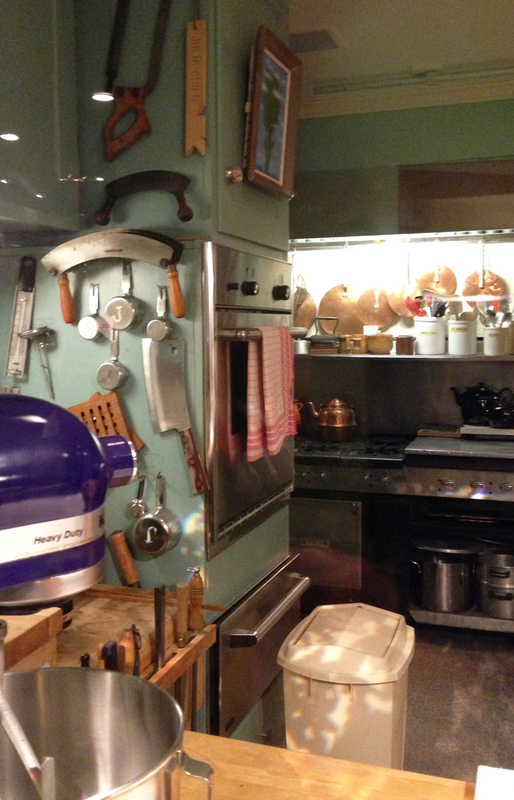 It contains the tools and equipment from the time Julia began working on her first cookbook through to 2001, when she donated it and all its accouterments to the Smithsonian Institution. 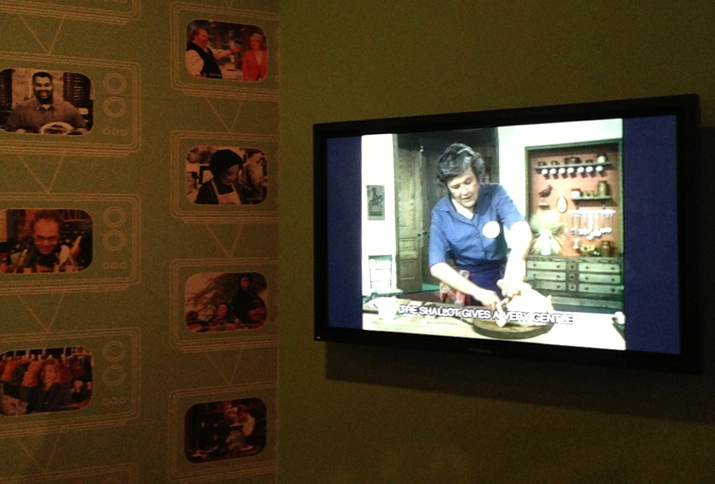 Visitors are greeted with videos of Julia’s famous PBS series, “The French Chef” — even though some critics liked to proclaim that she was neither French nor a chef. Okay, more accurately, Julia Child (1912-2004) was The American Author and Cook Who Brought French Cooking—I would even say Good Cooking—to America. 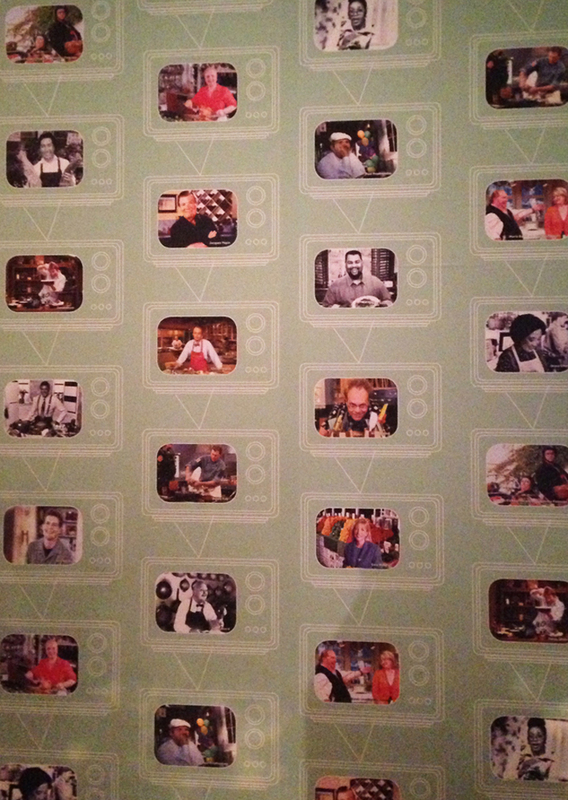 And there’s a wall of images of other TV chefs. Look, there’s the Galloping Gourmet and Mario with Martha Stewart. Oh, well. 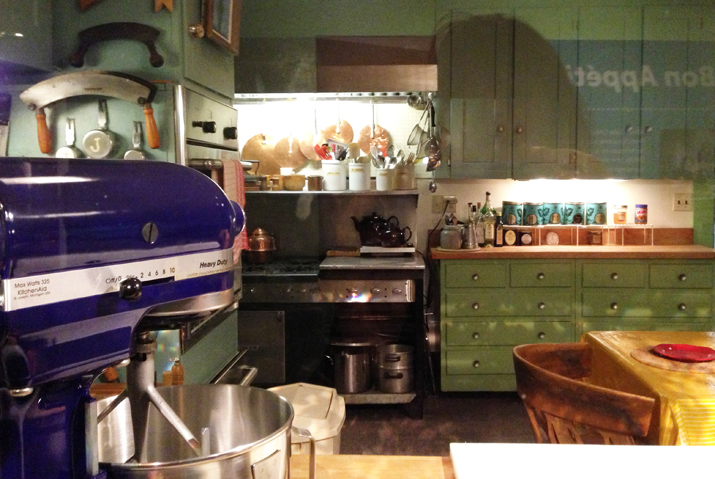 Of the kitchen itself, I was a little disappointed that visitors can’t walk inside. But even through the plexiglas walls, it was a delight to see and experience. 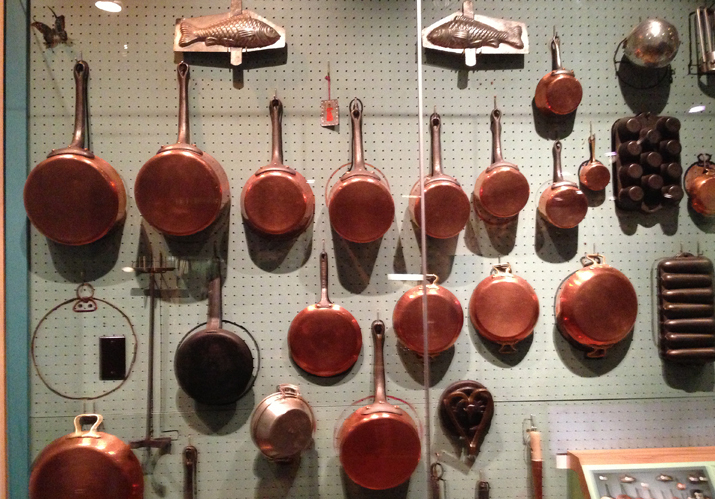 It was real and made for cooking, not for show. No granite countertops, no open plan with center island and all the other bells and whistles people want to today. Just good, solid, sturdy appliances and the kind of pots and pans and utensils you can really cook with. 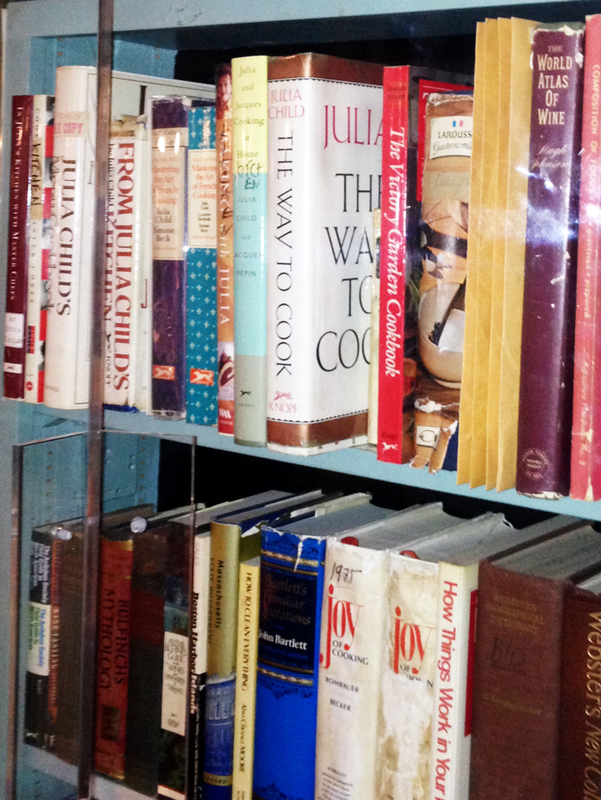 I learned to cook by cooking my way through Julia’s books, and was happy to see that she had the same beat-up, food-stained cookbooks as I. 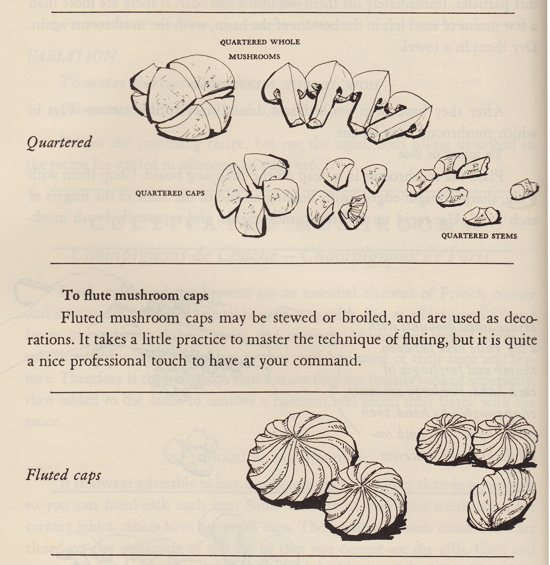 You can be entertained by watching cooking shows on TV, and you can learn to cook by following her long, detailed recipes—which actually make new or difficult things easy. A few years after I moved to New York and (temporarily) felt disillusioned with the graphic design business, I wrote Julia a letter and asked her if she needed an assistant. She wrote a lovely note, thanking me and advising me to “plunge right into all the food opportunities in New York.” I so wish I’d saved that letter. I would frame it and treasure it… or maybe I would donate it to the Smithsonian. 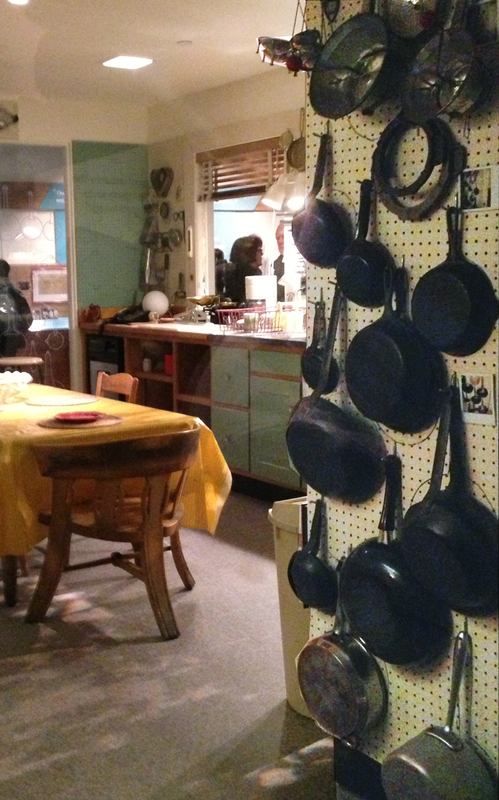 After Julia’s kitchen, there’s a whole food floor of American-food-themed exhibits with everything from TV dinners to BBQ aprons, and then floors of fascinating Americana including various First Ladies’ inauguration gowns. Too bad the food in the cafeteria is so dismal. They didn’t learn anything from Julia, even how to master the art of the tuna sandwich. 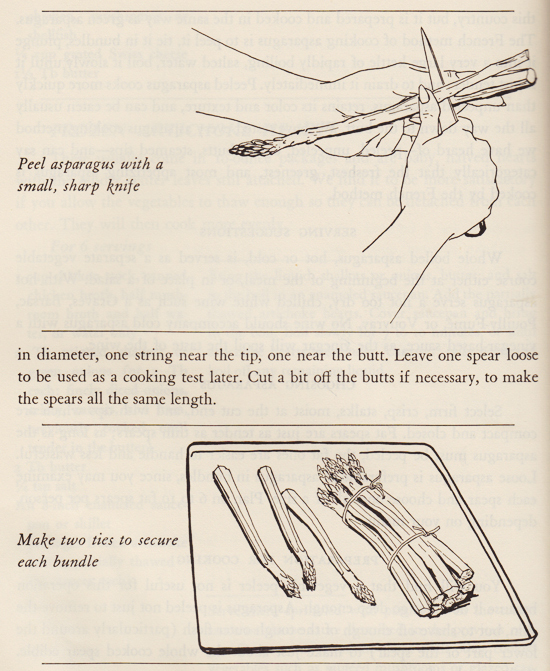 This entry was posted in Dining In and Out, Travel-USA Northeast and tagged cookbook illustrations, Julia Child, Julia’s kitchen, Smithsonian, Smithsonian National Museum of American History. Bookmark the permalink.